Recently, there have been many initiatives launched to decrease the amount of packaging waste produced by consumers. To this end, much research has been conducted to explore biodegradable alternatives to typical packaging materials, especially food packaging. These alternatives are often based on various naturally-occurring materials, such as cellulose or chitosan. In their article in the Journal of Applied Polymer Science, Secil Kocakulak, Gulum Sumnu, and Serpil Sahin explored biofilms based on chickpea flour as a potential packaging material. Chickpeas, also known as garbanzo beans, are a nutritious legume first cultivated in the ancient Middle East. Since then, chickpeas have spread across the globe, with global production in 2017 surpassing 14 million metric tons. Previous research studied flour-based edible films, but the research from Kocakulak and colleagues was the first to explore chickpea flour. The main chemical composition of chickpea flour is carbohydrates, which alone do not possess the mechanical or chemical properties required of bio-based packaging materials to replace synthetic plastics. To improve the mechanical and chemical properties of the chickpea flour, Kocakulak and colleagues combined it with glycerol and gallic acid. Glycerol, a simple non-toxic compound found in the backbone of many lipids, improved the flexibility of the films but also increased their hydrophilicity. The gallic acid, an antioxidant polyphenol found in many hardwood plants, decreased the water vapor permeability of the films while also conveying antioxidant activity and increasing opacity. Kocakulak and colleagues found that at a pH of 11, the chickpea flour-based films containing glycerol and gallic acid were strong, flexible, opaque, and had high antioxidant activity. The films developed in this study had improved mechanical and chemical properties over previously tested films that were based on different flours. 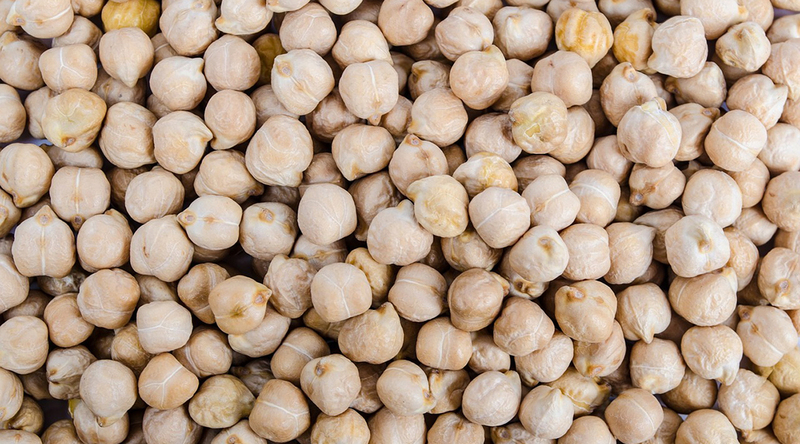 The team hopes that these chickpea flour-based films containing gallic acid to convey antioxidant properties could be used for wrapping and packaging highly oxidative food products. With all ingredients of the film being non-toxic and edible, it could even be used to make consumable packaging.